//  Created by -- on 2016-12-11. //  Copyright © 2016 --. All rights reserved. 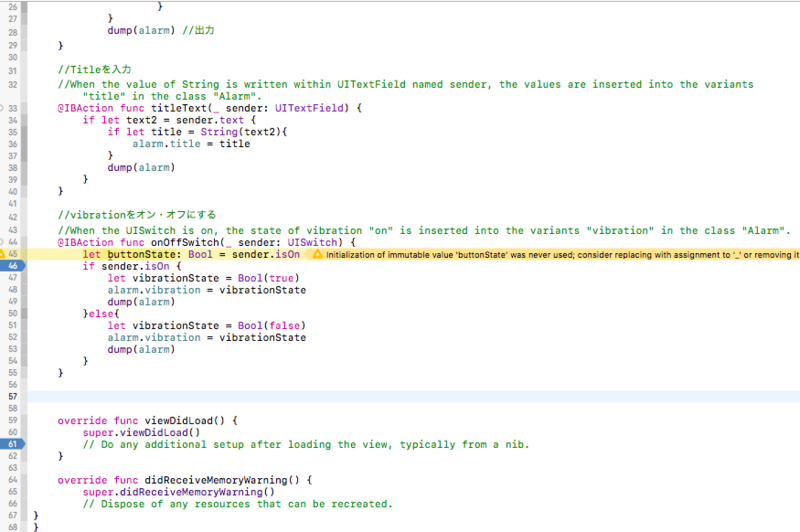 //When the value of Int is written within UITextField named sender, the values are inserted into the variants "duration" in the class "Alarm". //When the value of String is written within UITextField named sender, the values are inserted into the variants "title" in the class "Alarm". 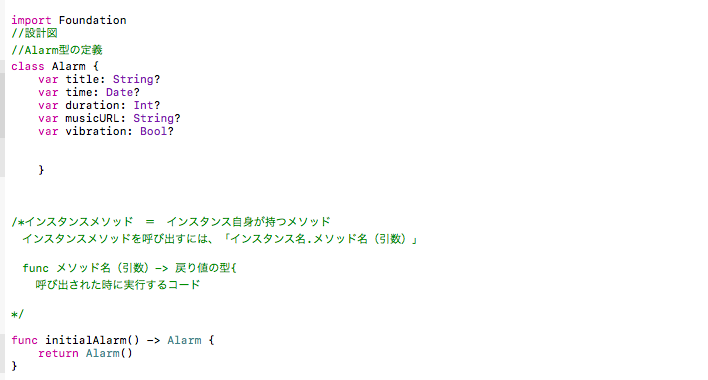 //When the UISwitch is on, the state of vibration "on" is inserted into the variants "vibration" in the class "Alarm".